A web-based ticketing for railway services in Nigeria will commence in September, 2018. 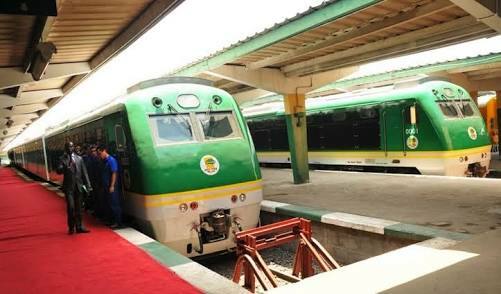 This was made known by Mr Fidet Okhiria, Managing Director, Nigeria Railway Corporation (NRC), while answering questions in an interview with the News Agency of Nigeria (NAN) in Abuja. According to him, eight stakeholders submitted their bids for the web-based ticketing system, which is a Public Private Partnership (PPP), arrangement to provide the infrastructure. He noted that a winner would be picked out of all the bids sumitted for the web-based ticketing system this week, while adding that the NRC was at the final stage of the set-up, after completing the technical and commercial process. “Before September or October we will go online, so that people can buy their tickets online, we want to make sure that the arrangement is secure, and that is why we are taking our time. “We also have NRC app that you can download on play store; we are going to that stage very soon. He assured that complaints by passengers on racketeering by officials would be a thing of the past once the web-based ticketing system is complete. Okhiria, however, said that he is focused on improving the output of locomotives in Nigeria in 2018, thanks to the delivery of spare parts ordered for in 2017, which he believes would further boost service delivery. More so, the NRC attributed the poor movement of haulage by rail to inadequate rolling stock and locomotives liability, which is low compared with the demand.